Hi everybody, how are you today? 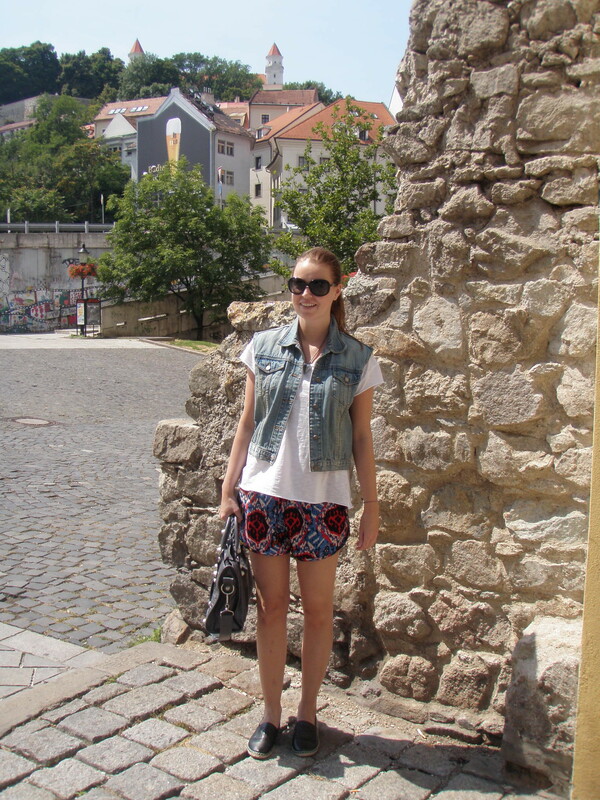 These pics are shot in Bratislava and beacuse the weather was nice I could wear my new printed shorts from Céline. They are really comfortable, the material is light and you can pair them with so many different things. I decided for simple white tee and added a jeans vest to look more interesting. 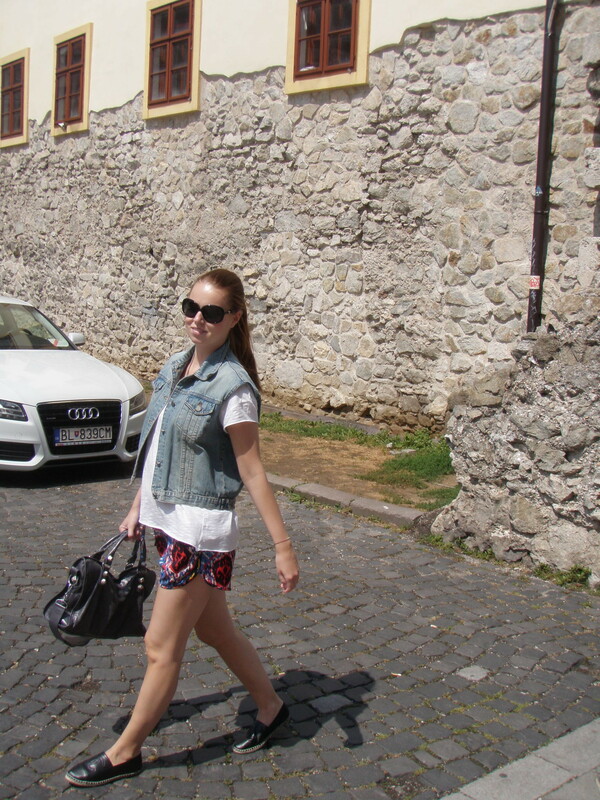 As for accessories I wore my favourite epsadrilles ( I literally live in them), grey Balenciaga and Chanel sunnies. Have a great day! Příspěvek byl publikován v rubrice Nezařazené a jeho autorem je Hana Hanzalová. Můžete si jeho odkaz uložit mezi své oblíbené záložky nebo ho sdílet s přáteli. fantastic espadrilles! I like the leather version! I love the print on those shorts! Very nice outfit, love your shorts! NEW POST ON THE BLOG! Loved the outfit and I NEED those shoes! I love your outfit! Those shorts are so cute! LOVE your shoes!! Great post! 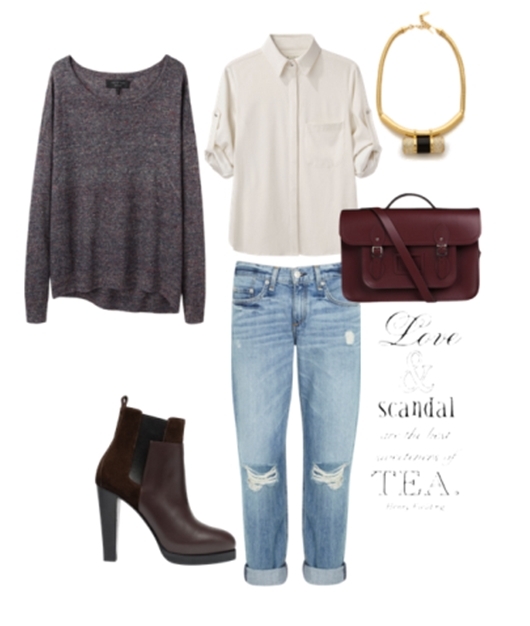 Love your shoes and bag! Obsessed!